Your host, Sylvia Martinetz, invites you to experience the peace and tranquility of the working ranch. Featuring six spacious guest cabins along with the Wolf Den meeting centre, the ranch has attracted guests from all over the world. Enjoy the ambiance and privacy of your very own log cabin, with a hearty ranch breakfast served each morning in the main house. 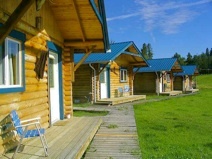 Conveniently located between Jasper and Edmonton, the Lone Pine Ranch is just a short distance from local attractions. If you’re looking for a peaceful, quiet affordable stay with good food, Lone Pine Ranch is exactly what you need! 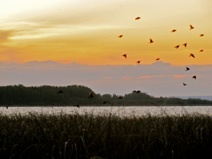 Fully guided adventure eco-tours of the Chip Lake Boreal Lakeland are available from Bushman Inc.